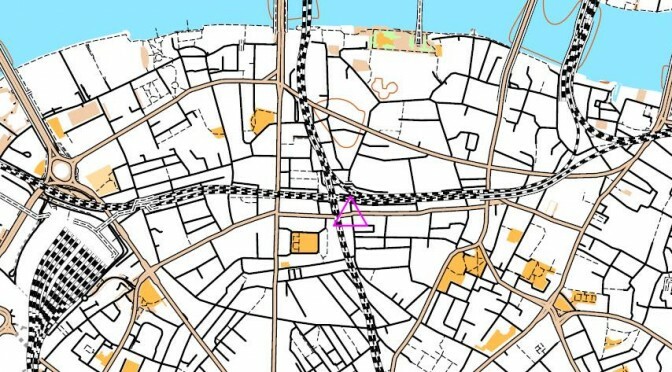 The fifth race of the 2017-18 season of evening street orienteering races (and the first one of the New Year) takes us back to the familiar SLOW territory of Richmond & St Margarets. Join us for an evening of checkpoint hunting & post race chat, and run off all that turkey you ate. This event will use electronic timing for the start and finish – please bring your SI card if you have one. The race will be based at The Slug and Lettuce on Richmond Riverside. The Slug & Lettuce Richmond is on Water Lane, Richmond TW9 1TJ. It’s a 5-10 minute walk from Richmond overground / train / tube station in the direction of the river (turn left as you exit the station, then eventually right down Water Lane until you hit the river). Fast trains to Richmond only take 16 minutes from Waterloo. Entry fee is £2 for SLOW and LOK members, students and juniors; £4 for others. Don’t forget to bring a pen to write down your answers to the clues as you go around, an SI card if you have one, and a watch so that you aren’t late back! You may find a torch/head-torch and compass useful too, although many don’t take one and it should be light enough for everyone for this last event. Results will be available on the SLOW website shortly after the event. Check the 2017-18 series page for more information.